Two of the four main presidential candidates in the May 20 elections on Tuesday made their strong case in outlining their plan for improving primary, secondary and tertiary education through the first-ever presidential debate held in the capital, Lilongwe. 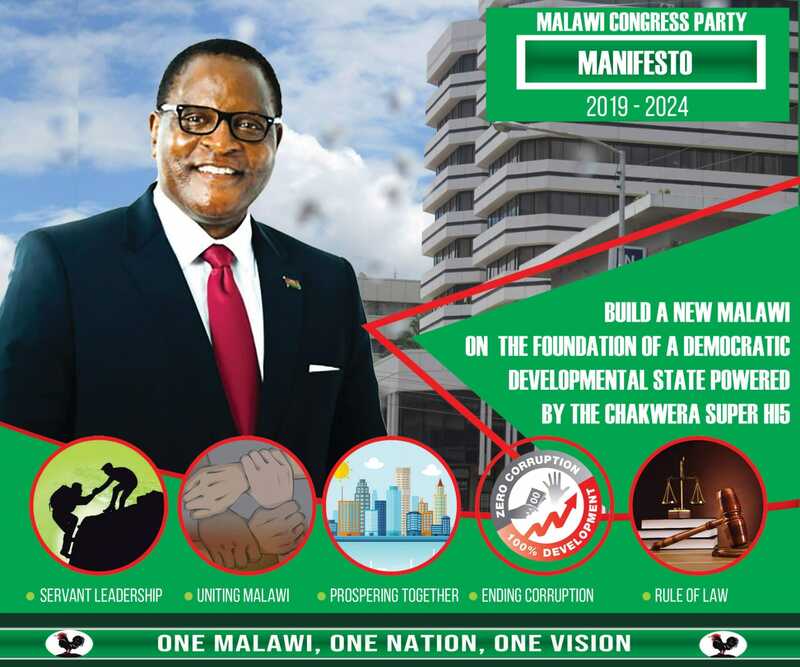 United Democratic Front (UDF) Atupele Muluzi and Lazarus Chakwera of Malawi Congress Party (MCP) were the two main presidential candidates who attended the debate at the auditorium of the Bingu International Conference Centre (BICC) in Lilongwe. Other candidates who attended were James Nyondo of National Salvation Front (Nasal), Helen Singh of United Independent Party (UIP), Kamuzu Chibambo from People’s Transformation Party (Petra), Friday Anderson Jumbe of New Labour Party (NLP), Mark Katsonga Phiri of People’s Progressive Movement (PPM) and John Chisi of Umodzi Party (UP). Atupele explained how his government would introduce incentives to ensure girls stay in school, discontinue the controversial quota system which involves students being selected into higher education on the basis of district or region rather than straight merit. “The solution to delivering quality education lies in how we use, prioritise and allocate resources,” said Atupele. However, Chakwera’s solution was to introduce systems that would be policy driven, practical and with political will while increasing access to tertiary education to all not just a selected few. Chakwera noted that uneducated nation is a paralysed nation. Chakwera said pre-schools will be a must and that teachers will be well remunerated. “Teachers that are well trained, well taken care off, teach better. Public and Private school must have same standards. Nobody should be satisfied with completing secondary education they must move on to tertiary level,” he noted. In her take, Singh said Malawi need to establish village polytechnics to teach agriculture, carpentry and other technical subjects. Analyst Chikavu Nyirenda commenting on education points by the candidates, said increased allocations to education are favoured with better use of existing facilities instead of spending on new projects like universities when current facilities are falling apart. “Early childhood development, integrated primary and secondary school education owned and managed at local level have been novel ideas. “I also agree with concept of motivating teachers [by Chakwera] via approriate incentives like housing and good quality of life for them to do a good job. Missing from the podium were President Joyce Banda of People’s Party (PP), Peter Mutharika of Democratic Progressive Party (DPP), Davis Katsonga of Chipani Cha Pfuko and George Nnensa of Tisintha Alliance.